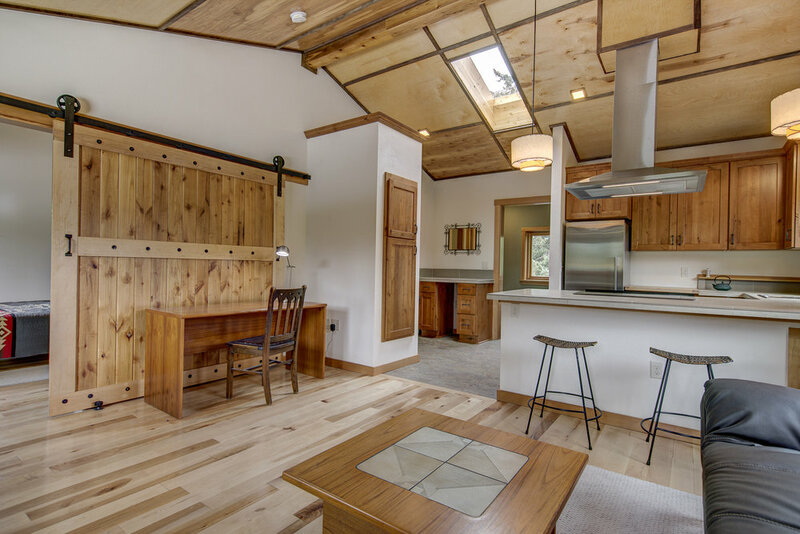 This 800 square foot ADU sits atop an existing one-story house with garage. The new one-bedroom dwelling unit above is accessed via a new entry way and internal stair. 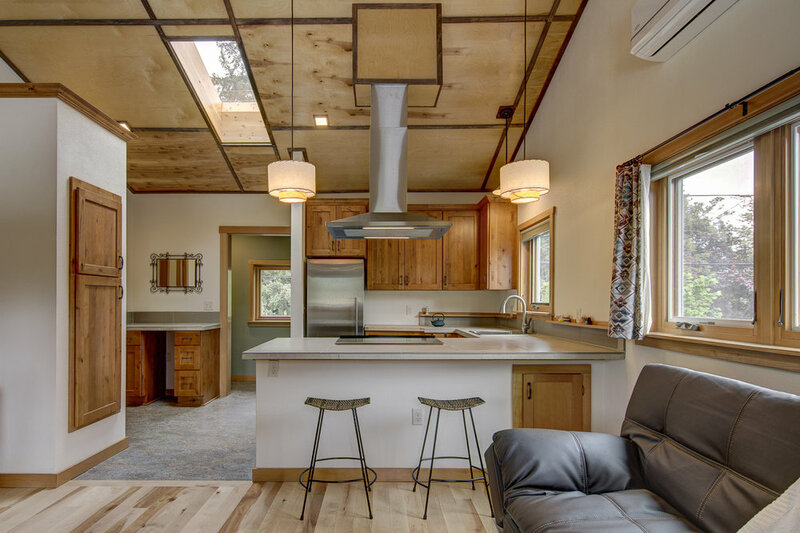 It features a vaulted ceiling with skylights and many operable windows to create a feeling of spaciousness while fitting within Portland’s ADU height restrictions. 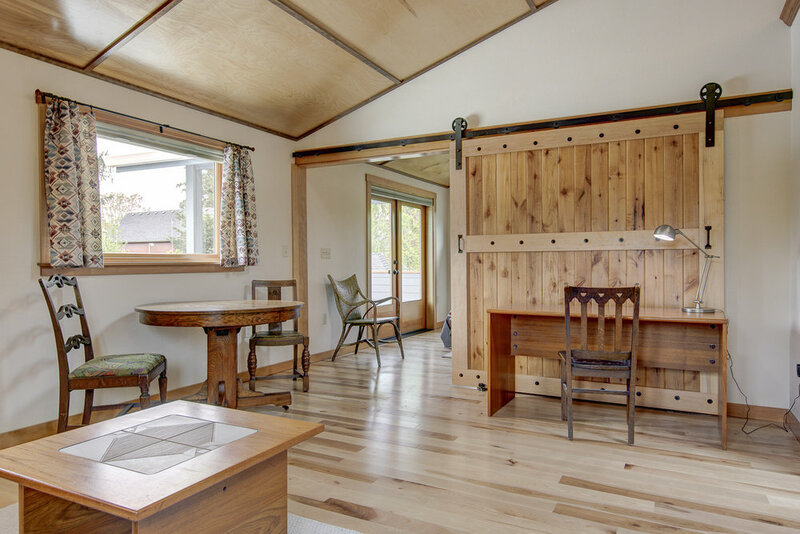 Design strategies for enlarging the living spaces include a flush covered deck which the bedroom can spill out onto, internal windows to the stairwell to optimize natural daylight, and barn doors to facilitate the open floor plan. The ground level garage has been converted into a workshop and art studio. Cozy, private dwelling above an existing home.